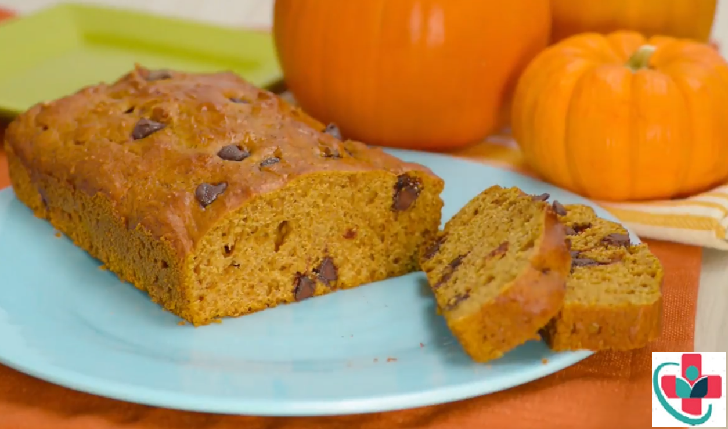 Greek Yogurt Pumpkin Bread smells divine coming out of the oven, and tastes just as good! It uses healthy swaps for a less guilty treat. ⏩Preheat oven to 350°F, and lightly grease a 9 x 5 loaf pan. ⏩In a small bowl, whisk the flour, spices, baking soda and salt together. ⏩In a large mixing bowl, lightly beat the eggs; stir in the pumpkin, yogurt, sugar, vanilla until smooth. ⏩Slowly spoon the flour mix into the pumpkin mixture and gently stir until just combined. Fold in the chocolate chips (or nuts) if using. ⏩Pour the batter into the prepared loaf pan. ⏩Bake for 40-45 minutes, or until a knife inserted into the center comes out clean. ⏩Remove the bread from the oven and cool in the pan about 10 minutes; cool completely on cooling rack.